Backyard grilling is a beloved summer pastime. Keep the tradition burning bright and uphold your grill master title by putting in a little time and effort to give your gas grill a thorough cleaning. It’s one of the most loved rituals of summer—friends and family gathering together in the backyard to enjoy some hot-weather fun and feast on succulent delicacies fresh from the gas grill. But if that gas grill hasn’t been cleaned in a while, those fire-roasted treats may leave a lot to be desired. Accumulated residue can make food stick to the grates, contribute to flare-ups, and even lead to grease fires. For the most delicious—and safe—cookouts, it’s a good idea to perform a thorough cleaning once or twice a year, either in preparation for the grilling season or before you store the grill for the winter. 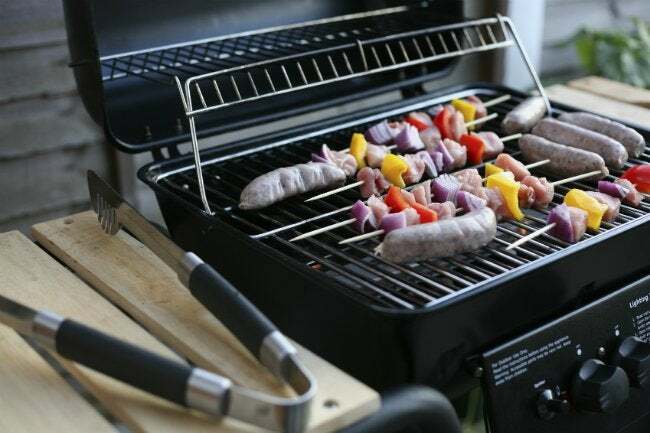 By following the simple steps outlined below, you’ll be able to extend the life of your gas grill and ensure plenty of summers’ worth of tasty meals. Remove the grates and submerge them in the water, letting them soak for a while. Also take off any other removable parts, such as the drip pan and heat shields, and set them aside for now. Taking care not to jostle any of the grill’s connections to the propane tank, use a rag to clear out loose ash and debris from the inside of the grill. Then, go back over your work with a wire-bristle brush to scrub off any caked-on char, grease, and other residue. Remove as much of this as possible from the grill’s interior. Go back to the grates you’ve been soaking in the warm, soapy water. The gunk should have started to loosen and fall away, but you’ll probably have to put in some elbow grease to get the grates clean. You may need to use a combination of rags and the wire brush to remove the greasy residue, but concerted effort should eventually give you the results you want. When you’ve finished, allow everything to dry completely. Once all the grill’s parts are dry to the touch, it’s time to put them back in place. Then, open the valve on the propane tank, then turn on the burners to make sure they’re working properly and that the heat shield(s) are correctly positioned. When you’ve confirmed that the grill is in good working order, you can consider it a job well done—which, some rare-steak lovers might insist, is the only acceptable way to use those words around a grill. 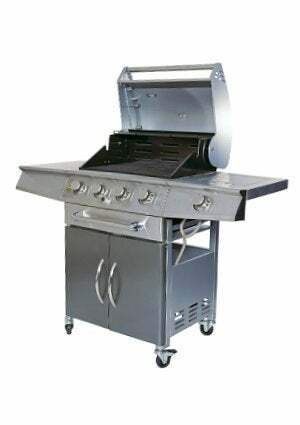 Regular maintenance is important to keep your grill operating at its maximum potential, extend its lifespan, and ensure the best flavor from your grilled foods. Every time you grill, start by preheating the grates and brushing them clean with a wire-bristle brush; after cooking, brush off obvious clumps of food. Periodically sweep debris and grease out of the cooking chamber, and empty the drip pan frequently. If you stick with this simple cleaning routine, your end- or beginning-of-season overhaul will be a breeze, giving you more time to enjoy those precious summer days.